Over the past couple of months, we have written about how the Lightning Network can change the way people and businesses transact with one another, how it opens up a world of microdata and micro transactions, and is positioned to upend existing, traditional business models. We thought it might be useful to take a step back and discuss what exactly the Lightning Network is and why it matters. For this blog post, we will be looking less at the technical details and more at the impacts and outcomes of the Lighting Network. Using a blockchain for transactions can be expensive. As more transactions are handled on the blockchain, it becomes congested and users must pay higher fees to have their transaction confirmed in the next block. It is relatively slow. In the case of bitcoin, it takes roughly an hour to confirm a blockchain transaction. The information about the transaction in a blockchain is given to everyone in the network. Would you want your neighbors knowing about every single financial transactions you make? 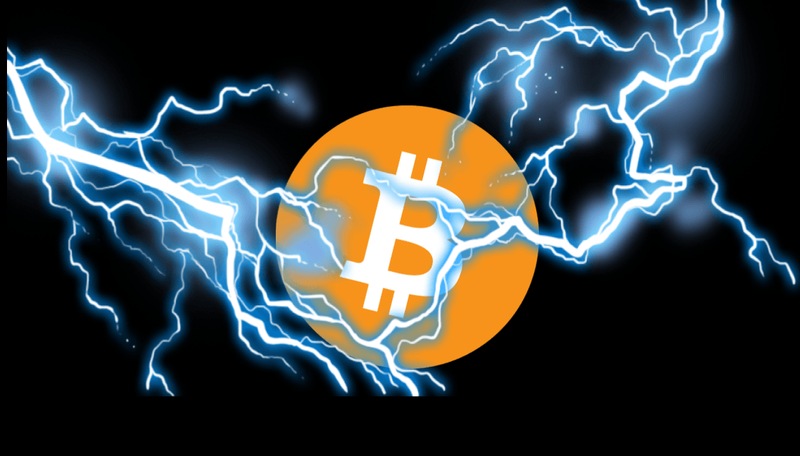 The Lightning Network is a new network that runs on top of a blockchain. The Lightning Network is an example of a Layer 2 protocol. The first layer is a blockchain, the second layer is the Lightning Network. When talking about the Lightning Network, people usually refer to the Bitcoin blockchain. The Lightning Network can run on other blockchains, but most developers are focused on Bitcoin since it is the de facto reserve currency for the cryptocurrency ecosystem. Enables instant transactions. Since verification no longer has to happen on the Bitcoin blockchain proper for every transaction, e.g. they happen “off chain”, there is no need to wait the roughly 10 minutes for it to be confirmed. So if you’re buying a cup of coffee, paying for a subscription or streaming data, etc., payment happens instantaneously. Enables instant transactions. Since verification no longer has to happen on the Bitcoin blockchain for every transaction, e.g. they happen “off chain”, there is no need to wait for the transaction to be confirmed. This means a payment happens instantaneously. Allows for micro-pricing. Since these instant, micro payments are happening off of the core Bitcoin blockchain, they no longer have to pay the confirmation fee. Pricing can be incremented in units as small as 0.000000001 BTC. This opens up a new world of micro transactions previously unavailable. We are working on these at Suredbits. Privacy. Unlike a blockchain, the Lightning Network gives you more financial privacy. Now all your neighbors can’t see all of your bitcoin transactions! A common way people explain how the Lightning Network works is comparing it to the legal system. In a legal system, you have the idea of a “contract”. An example are lease agreements to rent an apartment between a tenant and a landlord. If one of the two parties breach the contract, you can take them to court and have your case heard by an impartial judge. The judge will read the contents of the contract and determine who is in breach of the original contract and force them to pay the other party. With the Lightning network, you have a smart contract that is agreed to by the two parties transacting on the Lightning network. If one of those two people breach the contract, their counter-party can take their dispute to the judge — in this case the blockchain — to determine who should receive the funds in the Lightning Network dispute. This makes it really hard for people to steal money on the Lightning Network despite not having everything happen on the blockchain. There are a few caveats to this (just like the legal system has caveats) which we will explain in a future blog post. In our next post, we will explore what a Lightning Network node is, how they interact with the Lightning Network, and who is building the Lightning Network.